Your day never just goes from 9 to 5. You work hard and play harder. 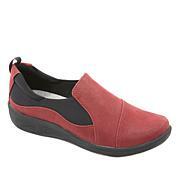 Get a pair of shoes that can comfortably and stylishly keep up with your hectic schedule. 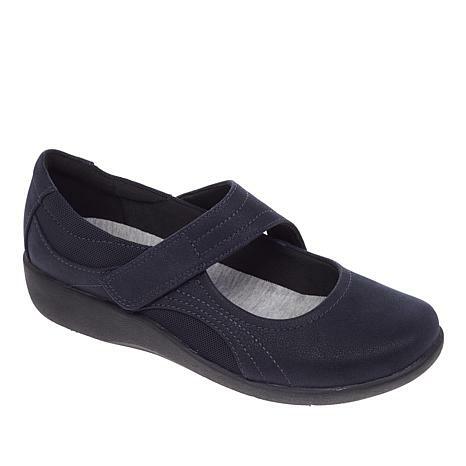 The Sillian Bella Mary Jane from Cloudsteppers by Clarks features a removable, molded Ortholite® footbed and padded Cushion Soft™ foam layers so you can treat your feet every day of the week. Bought red color. Love cloudsteppers for walking. This shoe is true to size.Please make sneakers with cloudsteppers. Thank you. I usually do not find Clarks at this price, unless I go to a Clark's outlet. I had to size up 1/2, but that was fine, as long as I wear socks. Wearing these are like walking on air. The heel height (about an inch) is perfect, the fabric is easy to clean. These have become my go to shoe. Would love to see smaller sizes. Definitely would purchase again. So very comfortable. I needed a dressy shoe and have many foot problems. Im a senior and loving these shoes! I was looking for a simple shoe for myself. 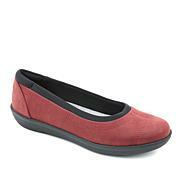 The name Cloudsteppers is perfect; my shoes are comfortable, easy to put on, and cute as can be. Very unique strap gives them an eclectic look. Thanks Hsn! I returned it because I have a neuroma and it just hit that spot on the one foot. Otherwise, this shoe would have been perfect. So comfortable and light and cute. The navy goes so well with jeans!